We are a small security company who have been running for nearly 2 years. 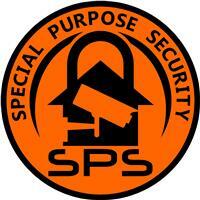 We offer only the best security equipment, advice, design and aftercare. We pride ourselves on looking after the customers' needs and concerns. We customise all of our installations to suit and cater for all your needs and in most cases give you even more than just a security system. All of our surveys, quotes and advice is free. We offer smart security systems and are the only company who specialises in integrating WORK VANS INTO THE HOME ALARMS TRIGGERING YOUR ALARM SYSTEM WHEN YOUR VAN HAS BEEN BROKEN INTO. We are able to offer the most competitive quotes and we use only the best equipment, we will not offer cheap equipment as an alternative. We have hundreds of customers and look forward to receiving many more. Thank you.